Mikael Ericsson and Amici del Canto in a memorable Mash Up between Liszt and Stockhausen. The event took place at Harp Art Lab Sweden when the inventor of Millophonia, Mikael Ericsson, scratched slowly with a deconstructed Franz Liszt piano roll over a song by Karlheinz Stockhausen, beautifully performed by Amici del Canto from Wuppertal, Germany. Kvarnofonen / Millophonia is a site specific sound installation in Harp Art Lab windmill by Mikael Ericsson. 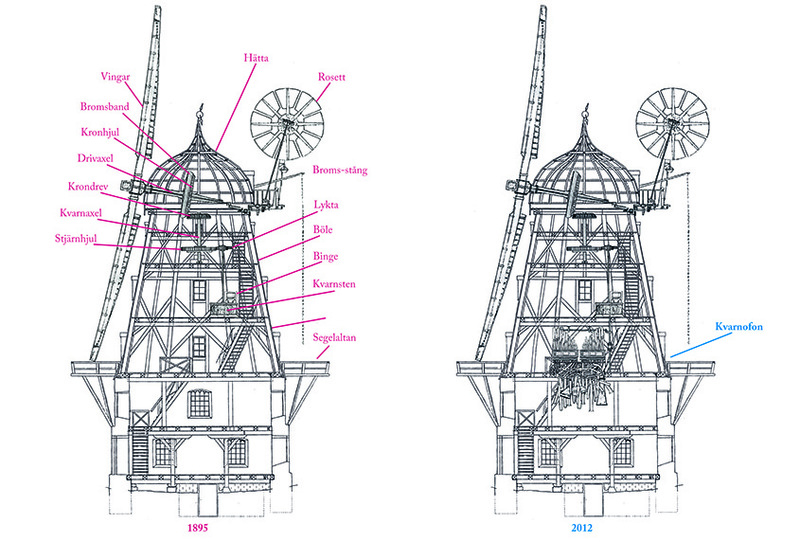 The sails, of the windmill, are running two enormous bellows that are supplying a modified pipe organ with air. The sound is controlled by a pneumatic mechanism that operates the pipe organ action via piano-rolls that are preprogrammed by the artist. This procedure is 100% handmade by cutting, punching and stitching it all together to feed Millophonia with fresh sound art. The Chamber Choir Amici del Canto, was founded in 2008 in Wuppertal and dedicates mainly to sophisticated a-cappella-literature of all epochs. At present, the choir amici del canto consists of some thirty ambitious singers from the Region Bergisches Land, both, professional school and church musicians. The project is supported by: Kulturbryggan, Stiftelsen Framtidens Kultur och Längmanska Kulturstiftelsen.